6 days later, I’m finally feeling human. Colds can be so rotten! I felt so awful on Tuesday and Wednesday – headache, runny nose, achy, tired, sinus pain, sneezing. UGH. Everyone gets colds, and after this round I want to share some ways to get through them easier, and how to help them not turn into the 6 week sickness, or bronchitis, or worse…. I like to view mini-sicknesses like colds, flues, and other bugs as opportunities for a mini-detox. As soon as I realize I am sick, all cow dairy, sugar, alcohol, corn, beef and gluten are eliminated. I also try to wean off caffeine by only having 1/2 cups of black tea as needed for caffeine headaches. This automatically gives my immune system a huge boost to fight off the offenders (see my food sensitivity blog post.) It also allows my liver, intestines and kidneys to do a little detox of their own, cleaning up old metabolites while other systems fight off the cold. This helps me heal faster, and makes me feel even better once the cold is done! I also often lose a couple of pounds while being sick. What does this leave to eat? Lots of fruit, rice, steamed veggies, rice cakes and 100% fruit jam, gluten free toast, butter (even tho its cow I allow this), nut butters, eggs, organic chicken, goat milk kefir or yogurt if craved. I just made a butternut squash, ginger, chicken broth soup with kale, apples and lemon this sickness. I also found a coconut milk, agave sweetened vanilla ice cream when I was craving something cold for my throat. And lots and lots and lots of herbal tea. With raw honey, and lemon. Botanical Medicine is *very* important for treating colds. Most colds start out as viruses and then develop into bacterial infections after the immune system has been worn down. Unlike drugs, herbs can be antiviral AND anti-bacterial at the same time. 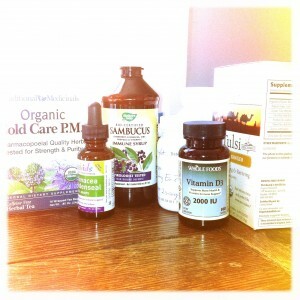 As soon as I start feeling sick, out comes the elderberry syrup that lives in my medicine cabinet. 2 tsp 2-3 times a day, AND once a day for my girlfriend so she doesnt get sick. Start taking lots of vitamins – everything you have. Take your C’s, B’s, multivitamin…. your immune system is weak and needs support. Olive leaf is a great anti-microbial to take at any stage of sickness. The trick with herbs is to take alot, early. As in, 2 caps three times a day for the first week, rather than 1 cap a day for 3-6 weeks of sickness. Traditional Medicinals has some great teas with a good mix of acute care herbs. I drank Cold Care PM night and day, with lots of honey as well as lemon ginger tea and echinacea tea. A side note on echinacea – this herb is anti strep as well as antibacterial and antiviral and antifungal. Its actually a great herb for colds and flues *when taken right away. * Echinacea seems to work better for some people than others as well. If you are going to use this botanical, start taking it as soon as you feel sick in high doses. Once you have been sick more than 5 days, it is no longer as effective *unless* you are fighting a strep infection. If you can, go see an acupuncturist immediately. Acupuncture can do great things for helping a cold to not settle into your lungs, and move it through you faster. I’m certain it also helped this cold not become a sinus infection and just stay at the superficial level. I see Hadley Clarke of www.zenkaiacupuncture.com although http://www.jadeintegratedhealth.com also helped me when I had a serious case of bronchitis last year.Chinese herbs are also very effective when prescribed by an acupuncturist, however they are not meant for self-prescribing. Finally, REST. Sometimes I think I get sick when my mind or body really needs down time. Call in sick, and lie in front of the TV, or in your bed all day. Pad around in track pants and socks and drink tea and moan on the couch. Facebook, nap, eat soup, but don’t do anything productive. The body *really* needs time to heal, and repair, and fight the good fight, and cant do that if you are also trying to teach or lead or answer phones or tend bar or save the world do all the other active things we all do in a day. 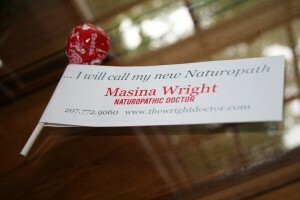 I am very excited about my new logo designed by www.theportlanddesigner.com. I was speaking with a valued mentor and friend today about Boutique Medicine and the innovative and yet old-fashioned concept of having a Dr on call, able to come to your home when s/he is needed, or to answer a medical phone call after hours or one weekends…. And I had the image of the old physicians bag come to mind. I have been branding the yellow cross – yellow for intellect, optimism, happiness and communication – and of course health care, and this is the brilliant marriage of the two! Boutique medicine (home, skype or phone visits) are often combined with what is called Concierge Medicine. Patients “sign on” with a physician for a set monthly fee, which gives them unlimited access to the MD, ND, or DO for the year. This fee is usually derived from a simple math equation that includes the average # of visits per year, at an average cost per visit, divided by 12 and paid on a monthly basis. Concierge Doctors work outside of the standardized healthcare system, thus avoiding insurance companies entirely. At this point, I am only working on the Boutique model, but I may implement Concierge Medicine in the future. Would you be interested? Email me your opinions at thewrightnd@gmail.com, I would love to know! All emails are confidential. 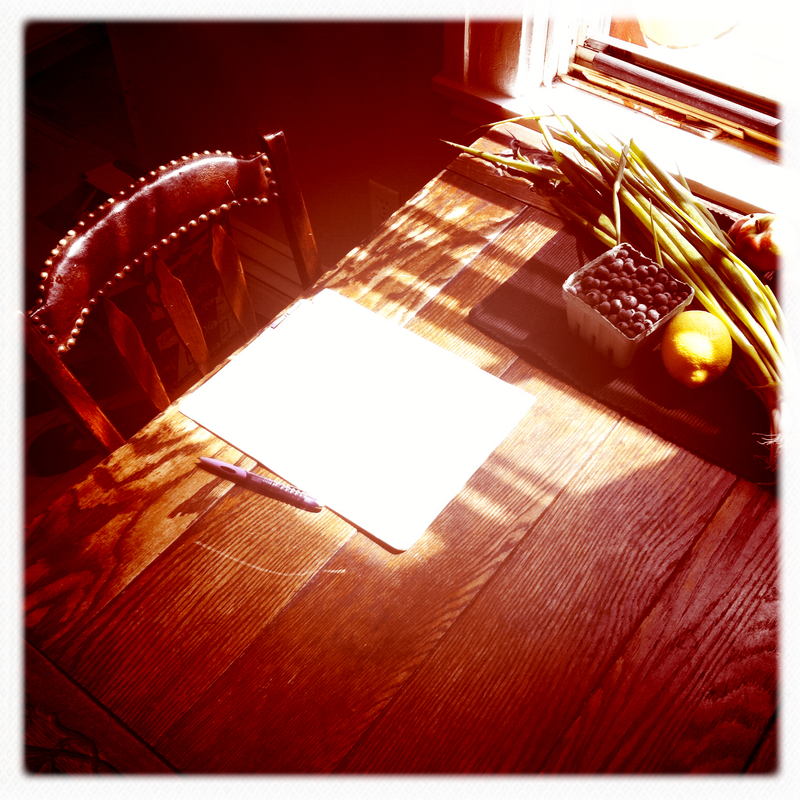 The kitchen table has seen generations of families, friends, and lovers sit down to talk about what is really wrong. Its where we cry fresh tears, or hold them back. Its where we open mail, check email, or sit down for a long phone chat. Its a place of connection, convenience, and commiseration. The kitchen is the heart of every household, and the center of a families nourishment. Kitchen Table Naturopathics is all of this and more! 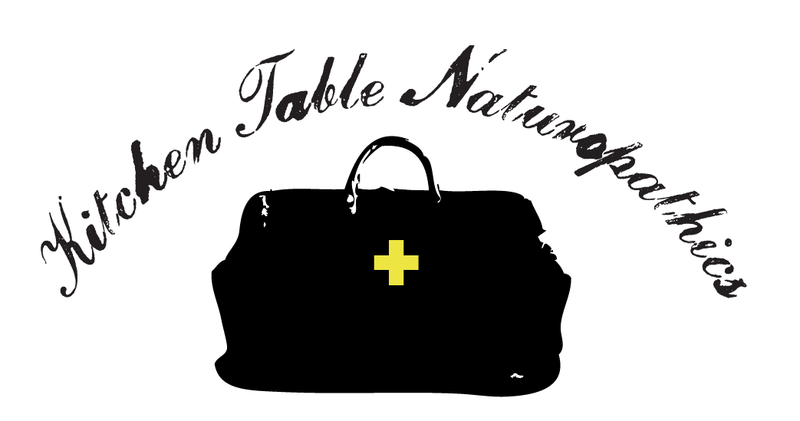 Based on the modern concept of boutique medicine and the classic model of country family physician, Kitchen Table Naturopathics offers phone sessions, skype consultations, and at home visits at your kitchen table or mine. Free initial 15 minute assessments are available in person or over the phone, to ensure we can work well together. Please call for a Fee Schedule or email thewrightnd@gmail.com to set up an appointment. I look forward to seeing you soon! Thanks for finding me! And Welcome. I want to be your new Doctor 🙂 I am here to offer you health care solutions to your big and little problems. Naturopathic Doctors are Alternative Medicine Family Docs – we are trained in pathology, diagnosis, physical examination, pharmacology (and can prescribe meds.) We are the experts in natural medicines including herbs, homeopathy, nutrition, nutraceuticals and vitamins which means we know what works, and what doesn’t. We know what brands are good, and what product combinations are most helpful or possible dangerous. Marketing requires serious introspection, self definition and some humor! In the journey down into the deepest depths of my practice, I realized that while I am *really good* at women’s healthcare, stress management, and digestive disorders, what I am *Best* at is individualized medicine. I don’t treat disease, or gender, or conditions, or age groups. I treat the individual human by listening to your story, understanding the pathological mechanisms, and synthesizing an effective recovery plan. Free 15 minute consults are available to meet each other and make sure we are on the same page. Call 207 233 3944 to book yours. Prepare to feel (even) better! How does stress affect your body? Stress affects multi-systems. Here is a quick run through the major players in the stress domino effect, and some at home tips to balance and harmonize your stress hormones. PHASE 1 (ALARM) There is a threat to your being. Your adrenal glands kick in and start producing hormones – for example, adrenaline. PHASE 2 (RESISTANCE) You are holding up a good fight. You think you’ve won. PHASE 3 (EXHAUSTION) Lots of small stresses add up. Eventually you can’t take it anymore. Body systems get run down, especially the immune system. The adrenals are small, paired glands that sit on top of your kidneys, and secrete the “stress hormones” cortisol and adrenaline. When you are under stress, it is the job of these glands to release these hormones in a “fight or flight” response – providing energy to your brain, diverting blood away from your digestive system to your muscles, increasing your blood pressure and heightening awareness. This instinctual response was designed to assist a quick getaway from a dangerous or life threatening situation – but is instigated chronically day after day. Mental stress can trigger this reaction, as can alcohol, sugar and caffeine. Over time, the adrenals become fatigued, and not be able to maintain the demands you are placing on them. This leads to a host of symptoms including chronic low energy, irritability, insomnia, weight gain, headaches, sugar cravings, and dizziness. Your digestive system is affected by chronic stress, partly in relation to the adrenal response. Under stressful situations, your digestive system slows down in order to provide extra energy and blood to your brain and muscles. Eating on the run, eating too fast, and eating while doing other things (like working) impairs digestive function and absorption of nutrients from your intestines. This can lead to indigestion, nutrient deficiencies, and gas and bloating. While under stress, cravings for sugar and other simple carbohydrate foods are often increased, as they offer a “quick fix” energy boost. This is inevitably followed by an energy crash, which stimulates the sugar cravings again, creating a rollercoaster of sugar highs and lows – as well as chronic upset stomach and weight gain. Your immune system is greatly affected by stress via cortisol released by the adrenals. Any kind of stress can increase cortisol – work, yo-yo dieting, illness, financial worries. Cortisol decreases the rate your body can make new proteins, including proteins in the immune system, and this suppresses the immune response. The result is you may find you are becoming run down and catching colds easily. Aggravation of current allergies, or even formation of new allergies, are often a result of long term stress on the immune system. High cortisol or very low cortisol lead to high levels of inflammation – manifesting as joint disease, heart disease, and many multi-systemic autoimmune conditions. The human body needs the nighttime sleep hours to recalibrate after the events of the day. Have you ever awakened from a full night’s sleep and felt more tired than when you went to bed? Does it take you a long time to fall asleep or do you wake often during the night? Sleep has emotionally charged phases that increase when you have more stress. A busy head while you’re awake can be carried over into sleep and decreases your body’s ability to rest. Natural hormone balance between cortisol and melatonin is also upset by stress resulting in early waking and sleep deprivation. Stress decreases your body’s ability to rest and heal. When everything is functioning properly, pain symptoms are minimal. When your system is overwhelmed, it can no longer manage or adapt as well to its environment. As stress levels increase, your ability to tolerate pain decreases, resulting in increased sensitivity to pain. While in an overwhelmed state, minor symptoms like headaches and back pain can become major problems. Often people say “but I don’t feel stressed”, however this is usually an inability to connect to how we are really feeling. Irritability, depression, tempers, impatience, crying, feeling overwhelmed – these are all indicators that you are under stress and you are responding to it emotionally. Eating slowly and mindfully is very important, and allows your digestive system to work efficiently. This means chewing every bite thoroughly and eating sitting down, without being distracted by reading or TV. Sit at your table, light a candle, and eat quietly. Then,go back to the television! Caffeine, alcohol and sugar create extra stress in the body without providing any nutrition. If you are very stressed, cut back on caffeine; enjoy organic green tea and herbal teas through the day instead of coffee and pop. Avoid chips, chocolate bars, pastries and donuts. Keep healthy snacks like seasonal fruit and raw nuts and seeds at your desk to munch on. Vitamins may be helpful to aid your body in healing from stress. Naturopathic Doctor’s are the vitamin experts, and are trained in pharmacology, nutrition and botanical medicine to ensure your supplements are not causing interactions. Getting enough quality sleep every night is very important for allowing your body to heal from excessive stress. Set a regular bedtime and stick to it – within one hour – even on the weekends. Do not exercise vigorously for 2 hours before bedtime. Turn off the TV an hour before bedtime, and create a relaxing bedtime ritual so that your body knows it is time for sleep. Take a bath, have a cup of Valerian or Passionflower tea, read, stretch, or write in a journal about your day. Meditation or visualization CD’s are also great nighttime rituals and can help you maximize your down time. Exercise is one of the best ways to reduce stress. This does not need to be exhausting; a 30 minute walk every day can make a huge difference. Exercising with a friend or partner is the most successful way to go. Start a lunch-time walk at the office with a group of co-workers. Enlist your kids or partner in an after dinner walk every day. Not only will you feel more relaxed and sleep better, but you will enjoy valuable social or family time also. If you can, join the local YMCA or gym and take regular exercise classes as well. Pilates is fantastic for people who need an active body-based gentle strengthening. Yoga is great for people who like stretching and deep breathing exercise. We all know that smoking, drinking too much, drinking too much caffeine, snacking in front of the TV, not exercising, and not eating breakfast are all bad habits that we should probably do something about, but it can seem insurmountable to change. Make a commitment to yourself to do something positive and healthy in order to improve your health and well being. Decide to change just one bad habit at first. Take small steps, don’t try to do it all at once, and don’t go it alone. A Naturopathic Doctor can offer effective assistance in quitting smoking, reducing caffeine intake, or improving your diet for example. Often when we are feeling burned out by stress in our lives we are putting out more energy than we are taking in. This may come in the form of work or family demands, or worrying about money, the future, or relationship problems. The first thing to be dropped from a busy schedule is almost always you. Most of us do not prioritize any time for ourselves in a day – when was the last time you took an hour just for you? Remind yourself that you are worth caring for and deserve to be healthy. Take 30 minutes every day that is just for you – not for your partner, your children, your friend or your boss. Do something you enjoy that brings you happiness, like as a dance class, a massage, a walk on the beach, a bath with candles, time at the gym, a meditation CD, creative writing, tea and conversation with a close friend – anything that brings you joy. What makes you joyful? Your heart and spirit require joyfulness to be healthy; if you find your life is lacking this crucial element, it may be time to take a hard look at where you are and what you want. And. Or, it may be time to see a Naturopathic Doctor and start using acupressure, botanical medicine, homeopathy, lifestyle counseling, and nutrition to improve your mental, physical and emotional wellness and better manage the inevitable stresses of modern life. More than half of all women suffer from nausea and vomiting during their pregnancy. No one knows what causes “morning sickness” but it has been linked to higher hormone levels, changes in blood sugar, and stress. Nausea and Vomiting usually begin around the 6th week of pregnancy. It usually stops at about the 12th week, although it can continue throughout pregnancy for 20% of women. L During these weeks, allow yourself to change your activity level and adjust your schedule to help yourself cope with the physical symptoms. Your body is doing some incredible chemistry creating a tiny new being! Here are tips for keeping the nausea at a minimum. Eat a few crackers before you get out of bed and rest for 15 more minutes. Keep small snacks in little jars and containers in your purse, your desk, your car, and your kitchen. Eat every 1.5 -2 hours in little bits. You may feel nausea if you eat, but you will feel even worse if you don’t eat! Ask friends and family for help with errands and housework! Take naps – Nausea is worse when you are tired. Taking a prenatal multivitamin in capsule form that can be split up throughout the day with meals can make it easier to take your vitamins. If there are days you cant stomach it, don’t worry. Take your folic acid daily even when you don’t take your prenatal. Acupressure “sea sickness” wristbands are helpful for some women. EmergenC packets also contain electrolytes and can help rehydrate if you have been vomiting. Drink 1-2 per day as needed. Soups, porridges, and stews provide healthy liquids and nutrients. Dehydration will make you feel worse! Plain water can make some women feel worse. Try drinking lemon water, or lemon water with a little maple syrup. Avoid drinking before, during and after meals. Smells can be very nauseating for a pregnant woman. A good tip is keeping a piece of fresh lemon peel or ginger root on a hankie, and sniff it when feeling nausea. Don’t use synthetic scents as these often make it worse. What if you can’t keep anything down? Acupuncture, B6, ginger capsules, and homeopathy can treat mild to moderate cases of nausea and vomiting. Use 50 mg of B6 twice daily with food. Severe Nausea may need a prescription medication called Diclectan. 3. Follow your body’s cravings, trying to stick to wholesome home cooked versions of the more junky cravings. And. Don’t forget to sip lots of water! Time For Your (B12) Shot!